The past week has brought increasing attention, concern, and outrage over a recent decision by the Ethics Office of the American Psychological Association. The APA decided to close a seven-year-old ethics complaint against Guantanamo military psychologist John Leso without formal charges, despite his documented involvement in brutal detention and interrogation operations there. The Guardian's Spencer Ackerman was the first reporter to cover this development, and I have offered my own perspective here. Yesterday Psychologists for Social Responsibility (I am a member of the organization) sent the letter below to Stephen Behnke and Lindsay Childress-Beatty of the APA Ethics Office, calling for greater transparency regarding substantive and procedural issues surrounding the Leso decision (a PDF version of the letter is also available here). As representatives of Psychologists for Social Responsibility (PsySR), we write to express our deep concern and dismay over the recent decision by the Ethics Office of the American Psychological Association to dismiss the Complaint against Dr. John Leso, a former military psychologist at Guantantamo Bay Naval Base. According to your 31 December 2013 letter to complainant Dr. Trudy Bond (a PsySR member), your office does not dispute that Dr. Leso was instrumental in devising and administering the Guantanamo "enhanced interrogation" protocol in 2002. Declassified government documents and independent reports have revealed that this protocol included, but was not limited to, weeks or months of solitary confinement; sleep deprivation; sexual humiliation; exposure to extreme cold; prolonged removal of sheets, blankets, wash cloths and religious items; 20-hour interrogations, and painful stress positions. The Ethics Office took almost seven years to review one of the most egregious examples of unethical behavior in the history of American psychology. Due to unusual circumstances (leaks and release by Congress of classified documents) more information is available about Dr. Leso's participation in government-sanctioned torture and abuse than may ever be the case for any other APA member. Dr. Leso co-wrote the plan for and is documented as directly participating in the interrogation of Mohammed al-Qahtani. This interrogation was described as meeting the legal definition of "torture" by Susan Crawford, the Bush administration convener of the Guantanamo military commissions. In the end, your office apparently decided that Dr. Leso's months of involvement with the torture program were wholly mitigated because he did not volunteer to lead the Behavioral Science Consultation Team (BSCT) that formulated the protocol; he was an early-career psychologist; and he reportedly expressed unease with the assignment and a preference for "rapport-building" methods. In reaching its decision the Ethics Office has set a stunning and disturbing precedent. 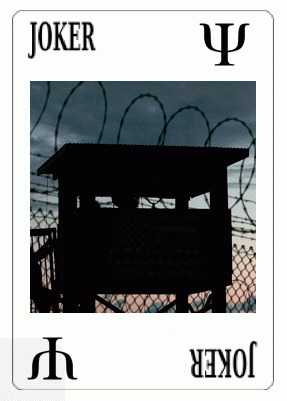 Your office has now provided another layer of protection to psychologists who participate in the debilitating isolation of prisoners, the psychological abuses still permitted by Appendix M of the Army Field Manual, the brutal force-feeding of Guantanamo hunger-strikers, or other ethical violations. As well, this logic suggests that psychologists who engage in insurance fraud or sexual relations with their patients can evade censure if they are relatively inexperienced and express discomfort in advance of or concurrent with their actions. For years APA has insisted that it would sanction any member for whom credible evidence existed of participation in torture or cruel, inhuman or degrading treatment, yet no psychologist has ever been held accountable for involvement in our government's post-9/11 torture program. Evidence clearly exists that Dr. Leso and other psychologists have utterly failed to ensure that detention and interrogation operations at Guantanamo and elsewhere were kept "safe, legal, ethical, and effective." By closing this case in the manner you have chosen, it is only reasonable for members and the broader public to assume that APA will never sanction any psychologist participating in government-sanctioned abuses. No statements from APA's PR office will change this perception. At this point, your office must realize that the Leso decision is being widely discussed in the media and has become a matter of profound concern to many members of the profession. We therefore believe that it is important for the Ethics Office to provide greater clarity regarding two key issues: First, substantively, how does this landmark decision align with the specific principles and standards of the APA's code of ethics , and with longstanding professional prohibitions against involvement in torture and abuse? Second, procedurally, how was the decision to close the case reached? While you state that the complaint was "carefully reviewed by multiple reviewers," it is unclear who these reviewers were. Does this decision reflect an official vote of the entire Ethics Committee, or rather action taken by the Director of the Ethics Office, or some other group of reviewers, without the participation of the full committee? Confidentiality about these matters serves, in our perception, no constructive purpose and instead raises confusion and uncertainty about the priorities and procedures of the Ethics Office. We therefore request that this information be made public in order to begin to rebuild the moral authority of the profession. We look forward to your timely reply. Thank you.